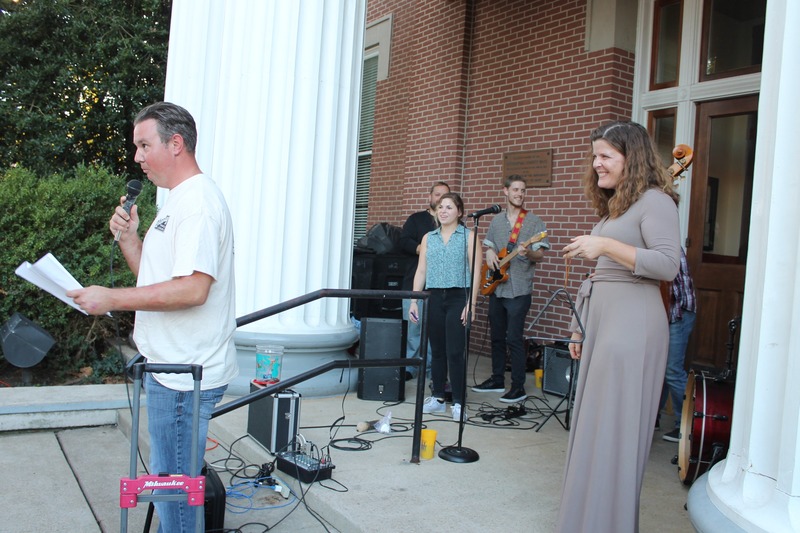 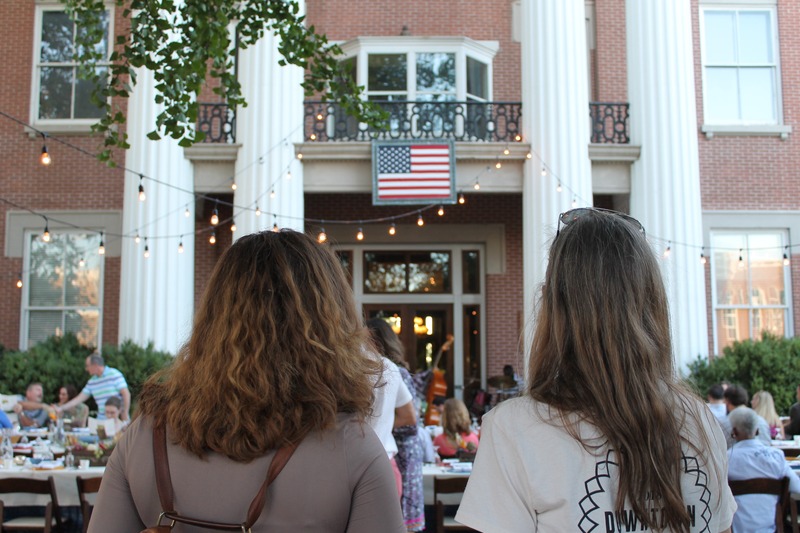 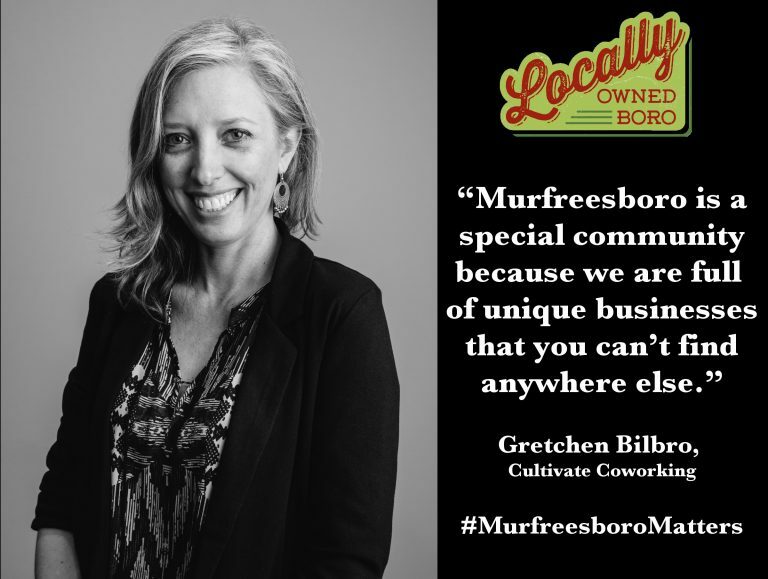 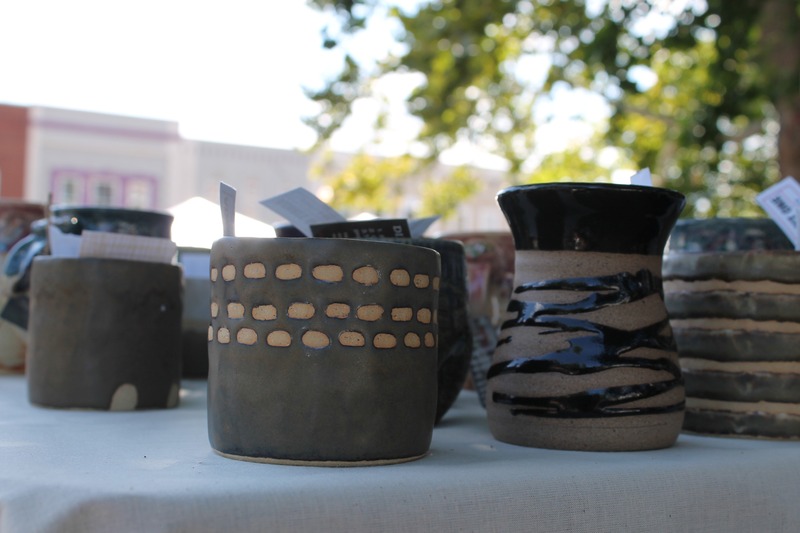 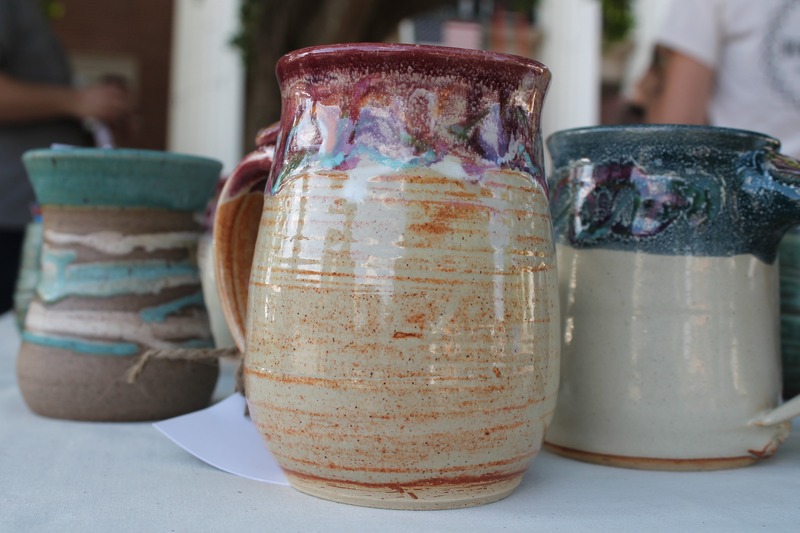 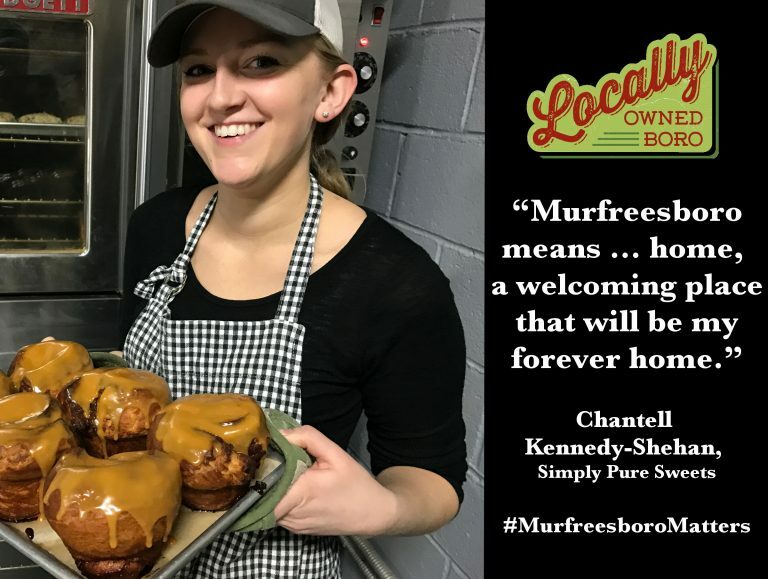 Downtown on the Farm, presented by Locally Owned Murfreesboro, was held Sunday evening, Sept. 30 on the east side of the Historic Courthouse. 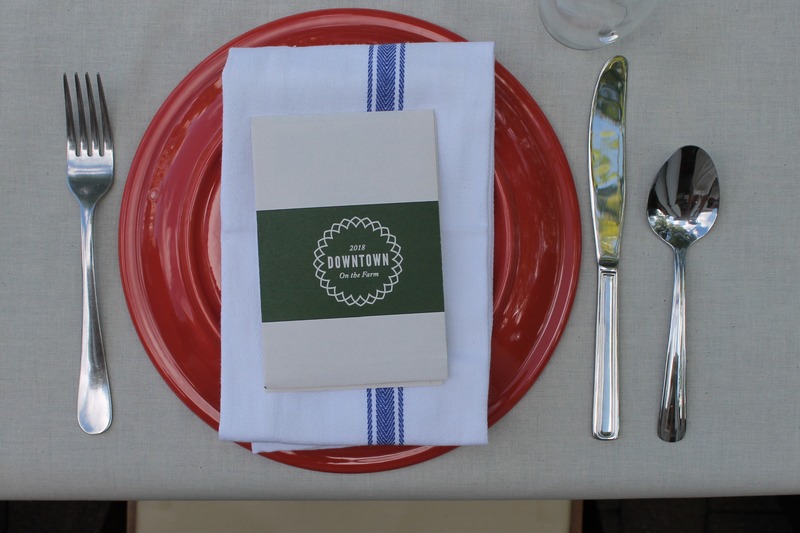 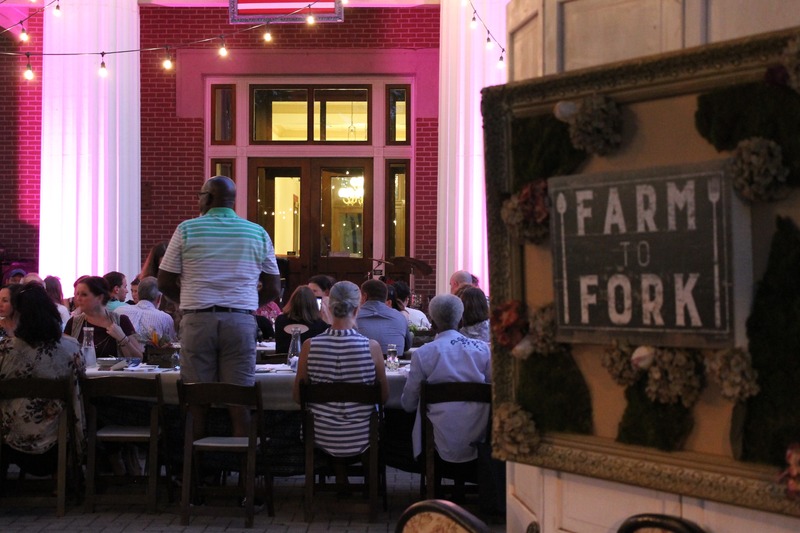 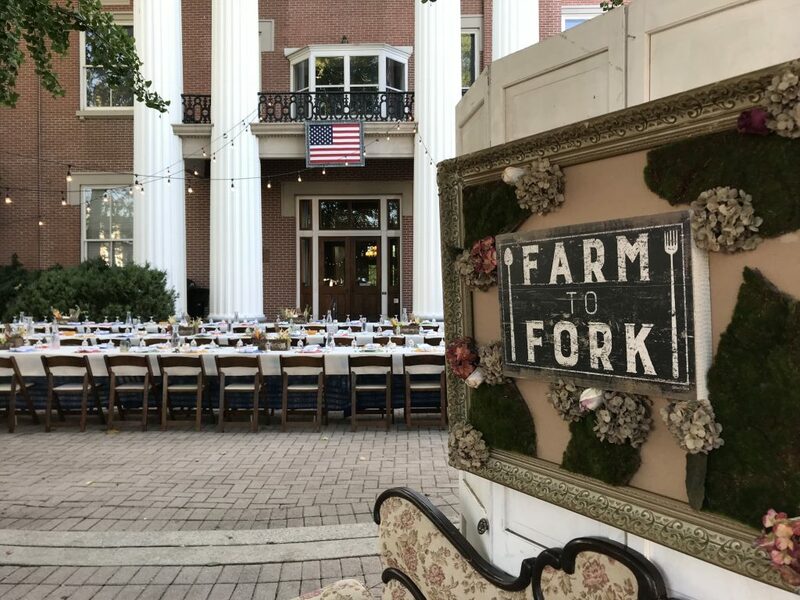 The farm-to-table fundraising dinner featured items sourced from local farms that were transformed into a culinary adventure by five local chefs. 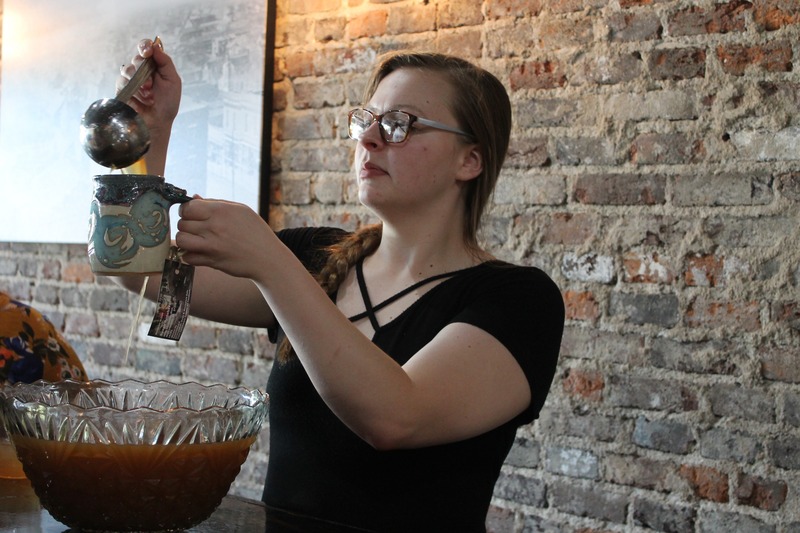 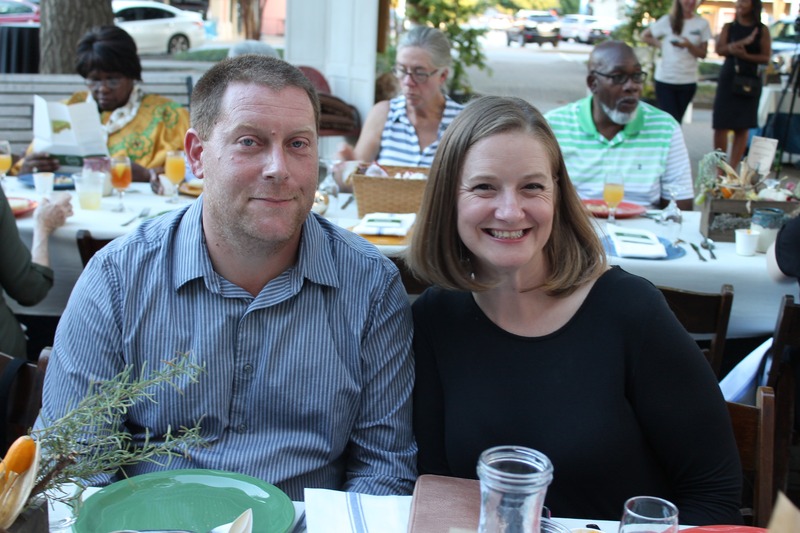 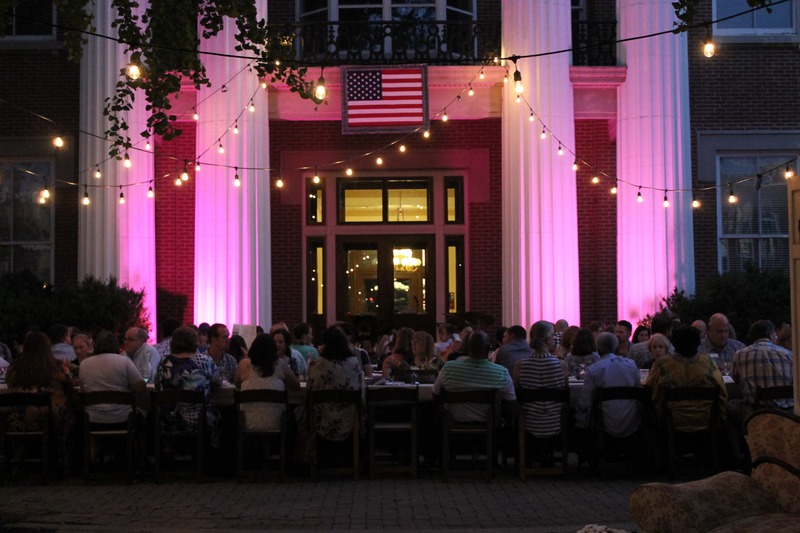 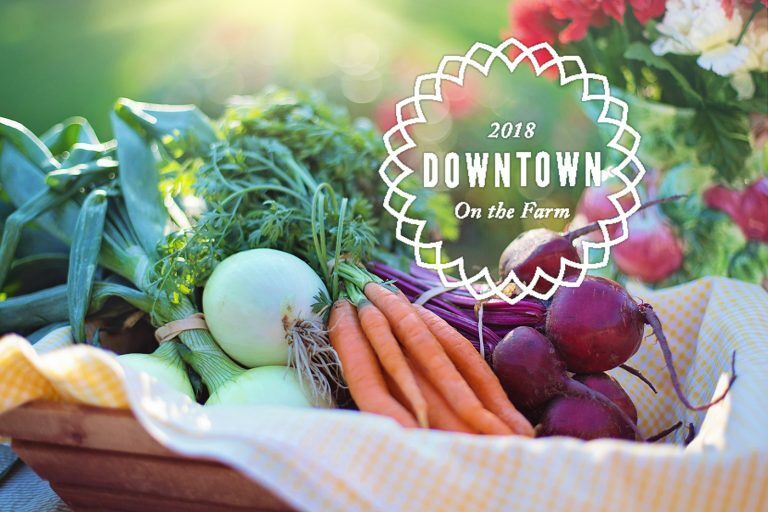 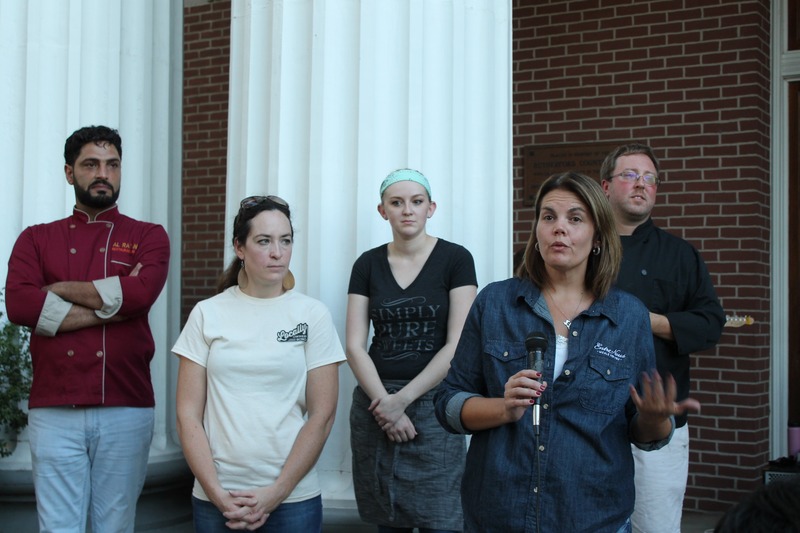 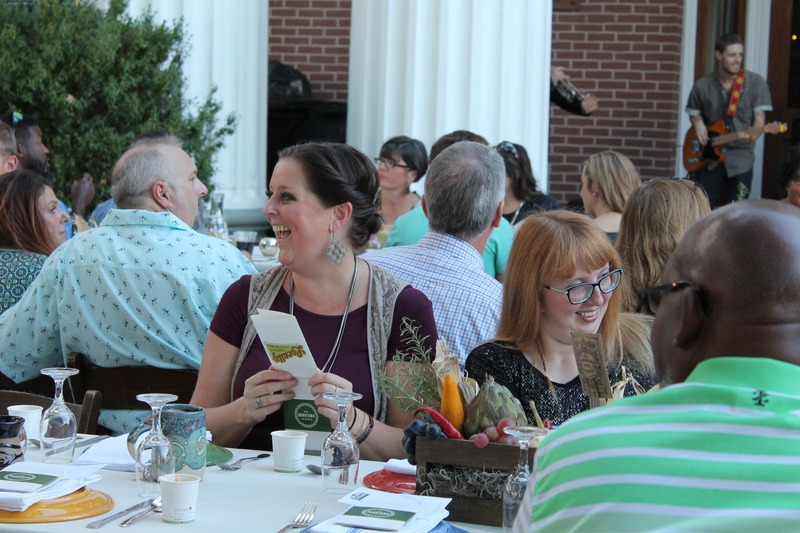 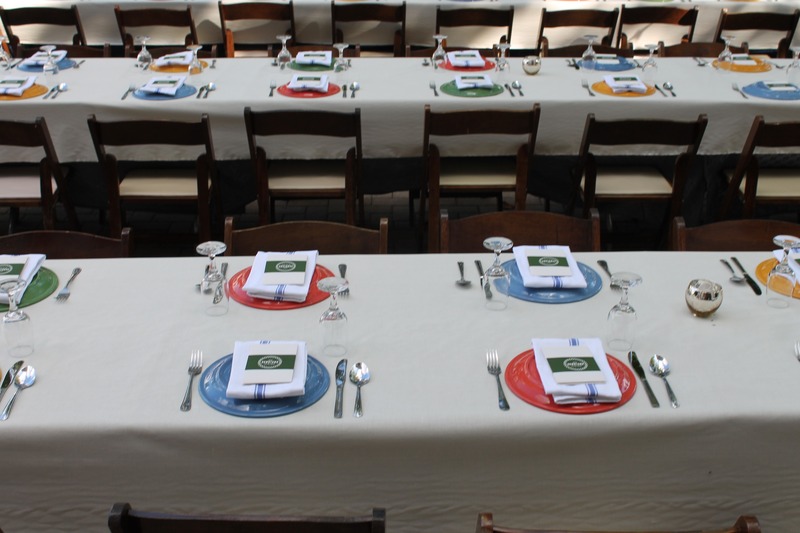 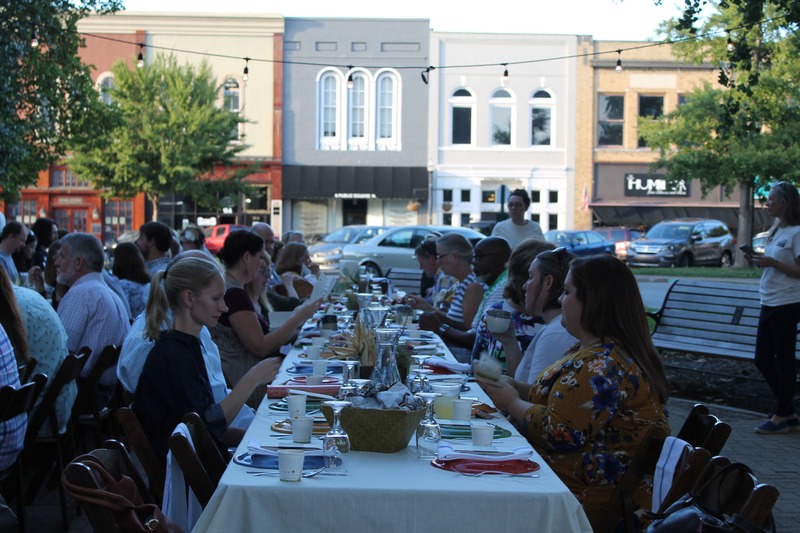 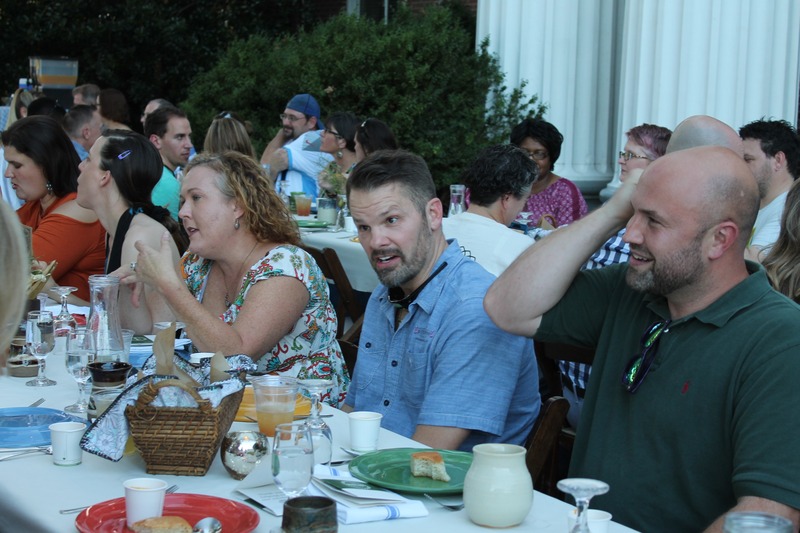 More than 100 local foodies gathered Sunday evening, Sept. 30 on the east side of the Historic Courthouse for a farm-to-table fundraising dinner featuring items sourced from local farms that will be transformed into a culinary adventure by five local chefs. 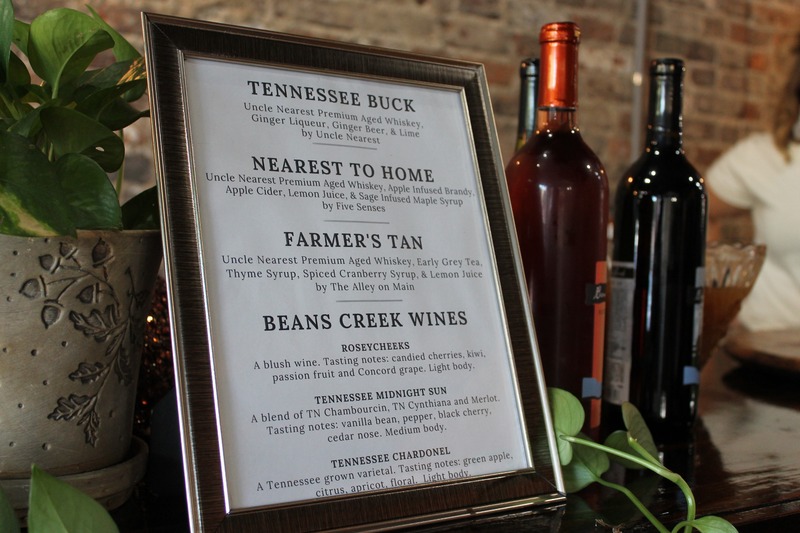 The evening started with three signature cocktails — Farmer’s Tan by The Alley on Main, Nearest to Home by Five Senses, and Tennessee Buck by Uncle Nearest — featuring Uncle Nearest 1856 Premium Whiskey. 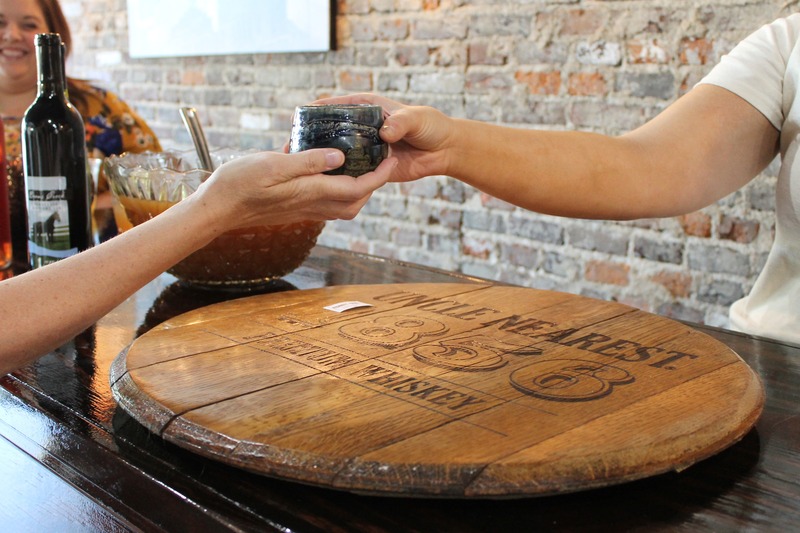 The drinks were served at a cocktail hour at L&L contractors. 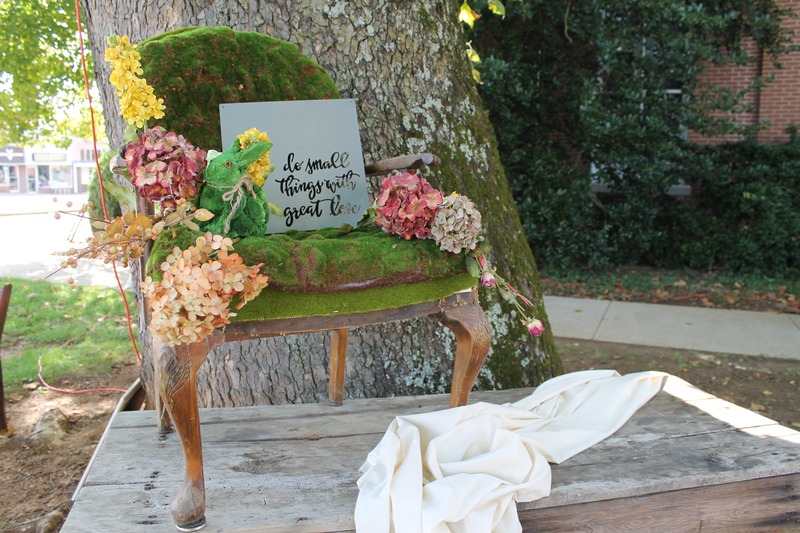 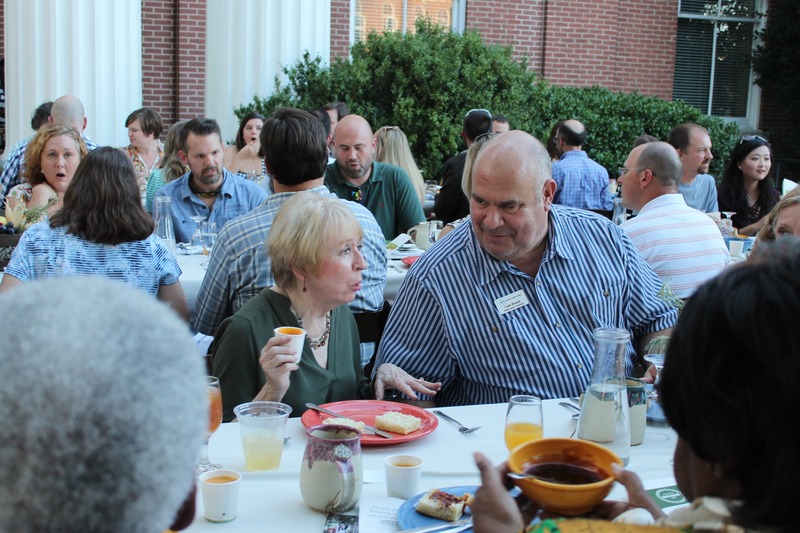 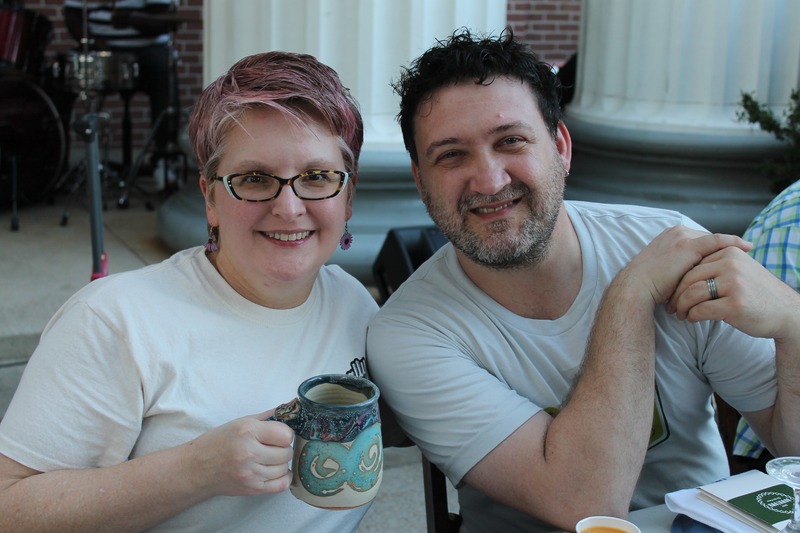 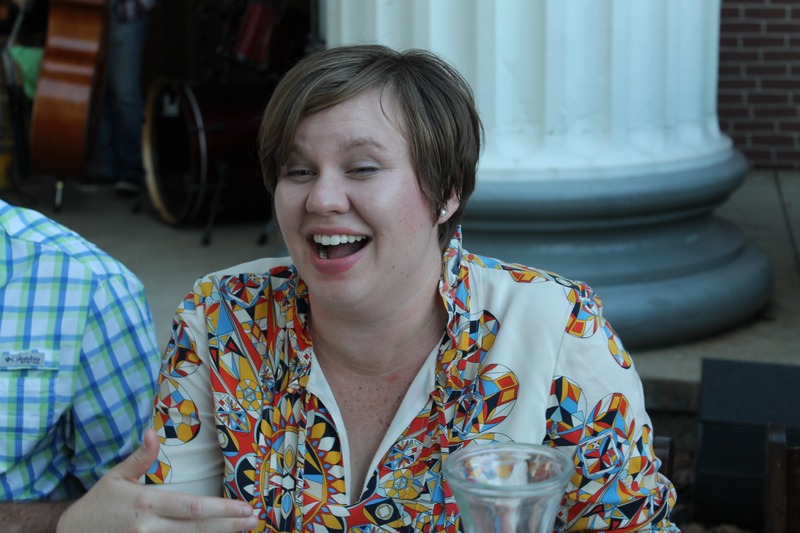 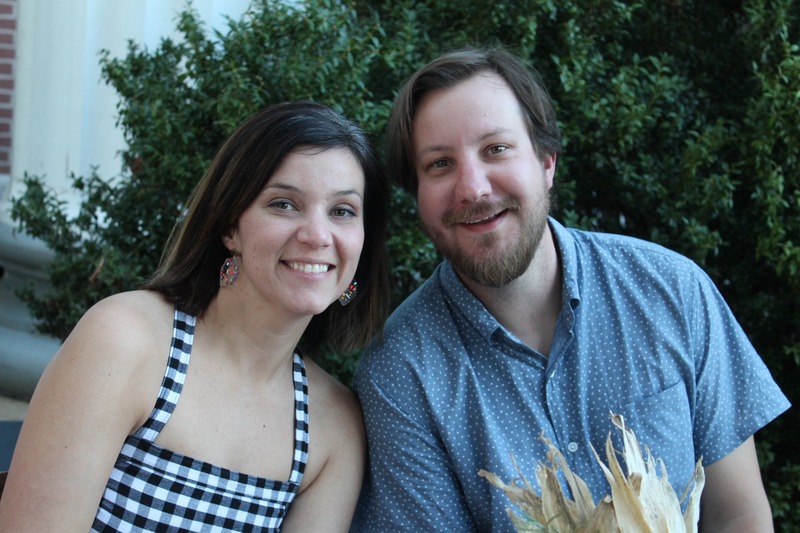 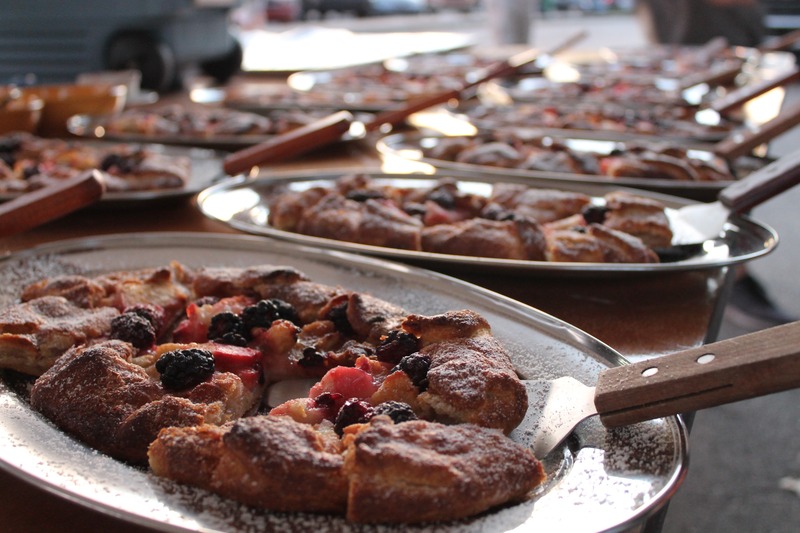 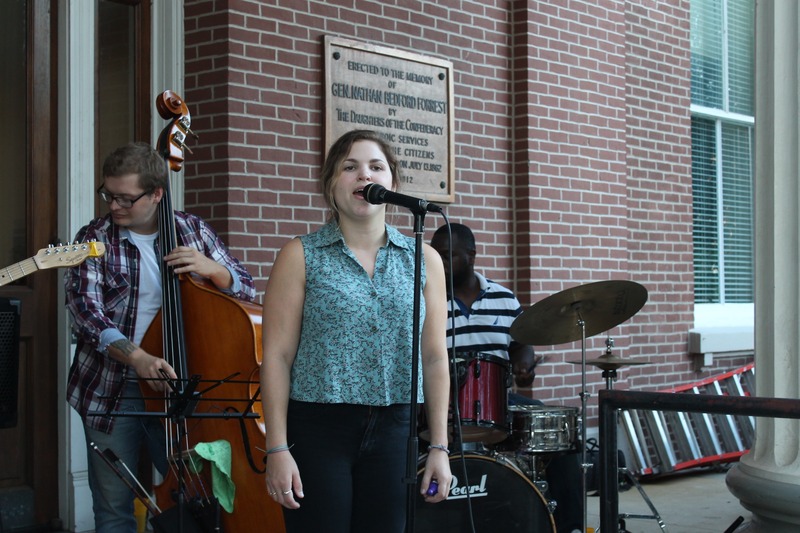 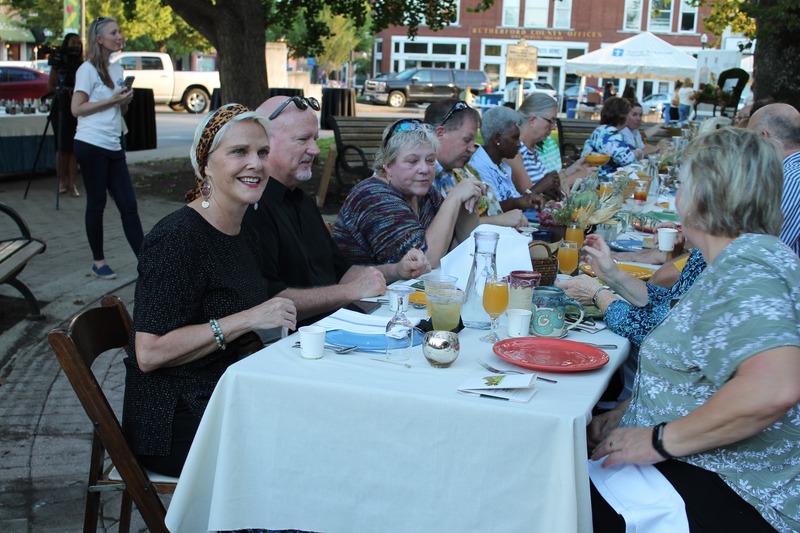 Sunday supper was served at 5:30 p.m. under the stars on the Courthouse lawn. 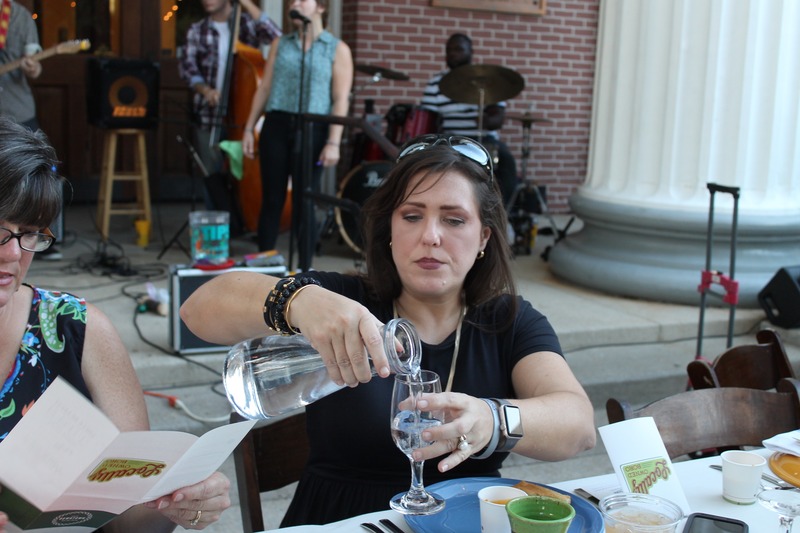 The Mediterranean-themed meal was prepared by some of Murfreesboro’s finest culinary minds: head chef Mitchell Murphree from Five Senses, Samantha Blake from Entre-Nous Meal Preparation Service, Shawn & Christy Hackinson from The Alley on Main, Hamad Abdelrahman from Al Rayan Restaurant & Market, and Chantell Kennedy-Shehan from Simply Pure Sweets. 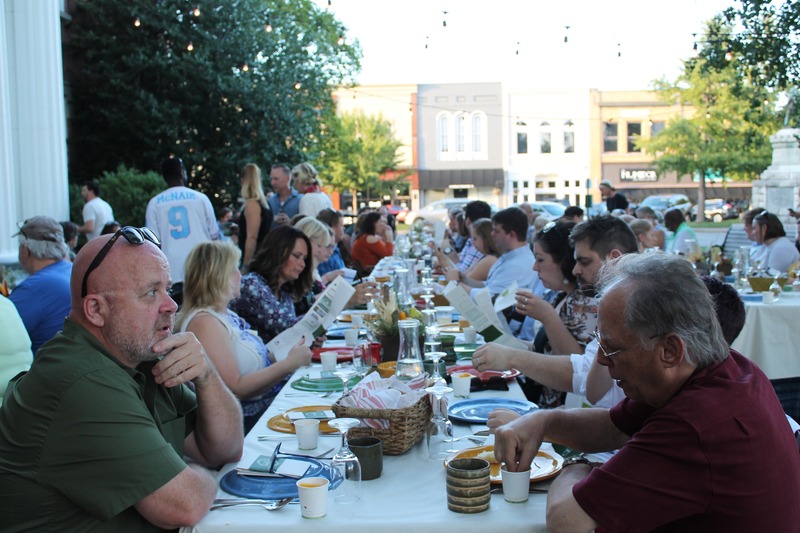 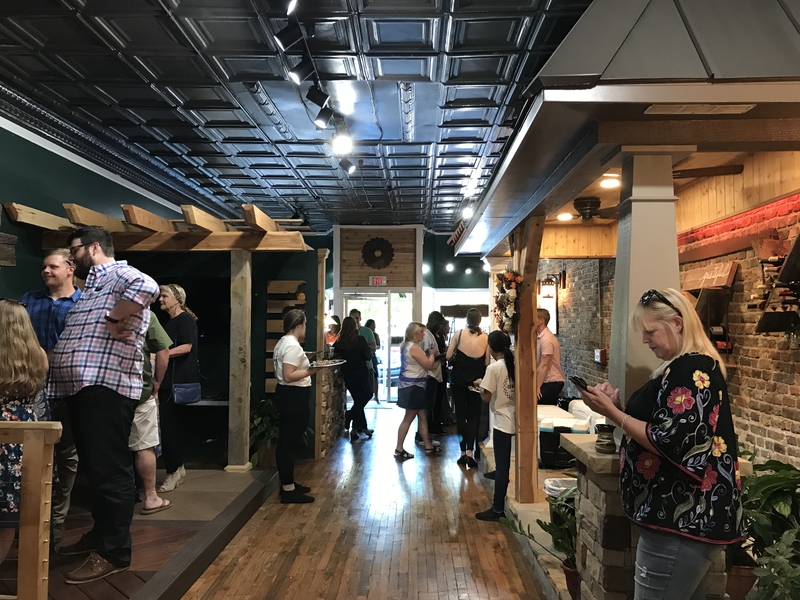 4K Farm, Bean’s Creek Winery, Dogwood Creek Farm, Evans Produce, George Martin Honey, The Hamery, Hatcher Family Dairy, Haun Farm, HPA Farm, LHM Farm, Morning Glory Orchard, Noble Springs Dairy, and Southland Farms provided the protein and produce.